Home > Reviews > published in 2015. Stephen McGill - vibraphonist and percussionist playing various instruments but, primarily, kongeyro, and among his favorite musicians appear the names of Mongo Santamaria, Poncho Sanchez, and other great masters of the instrument, and the Afro-Cuban jazz, which is at the core of his musical interests . Behind McGill big way in the music, which were milestones in Washington, London, Paris and finally to Los Angeles, where Stephen now lives and more than ten years by the ensemble Steven McGill Project. The composition of the team is flexible, but the basis of it consists of musicians with whom Stephen had met to work together in one of the LA groups, WaterColours: guitarist Jeff Stetson, pianist Steve Corilla, and later came to the group bassist Rene Gaston. They, together with a number of other instrumentalists and vocalists participated in the recording of the fourth in a row big album - Nia: Purpose. album Program totaled nine very different compositions. It opens its play of Stephen Alliot, where he once impressively demonstrates its skill vibraphonist. On the contrary, in the version of the famous jazz standard Green Dolphin Street his vibraphone as it serves as a link between the two solo Gus bright colors Rene, who succeeded in this track a basic tool on lead guitar. This Afro-Cuban rhythmic structure is characteristic for both of these formulations, as, however, and the album as a whole. The third disc of the composition, Lost One, the first time we hear singing. Composed this thing Simeon Carson, singer, rap, which sounds in it to the accompaniment of a saxophone Javier Vergara. The basis for the composition served neither more nor less than Coltrane's A Love Supreme, but the place is ecstatic hymn of divine love there took very toxic exposure of social ills of society. It turned controversial, but interesting. Social motives sound in a different song with the vocals, composed by singer Jeet Merlina Khosla, - Give a Little More Love. This thing is presented on the disc even in a purely instrumental version, which pushed to the fore pure rock guitar Jeff Stetson. The list includes album covers even the interpretation of such famous hits as Autumn Leaves and Besame Mucho. At last I would like to stay by themselves. 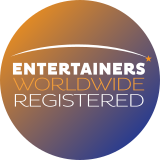 This popular play Latin repertoire very often play up excessively bulging caricature p-p-p-grow. 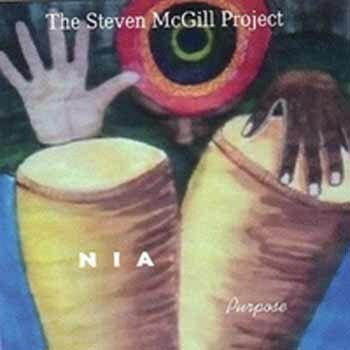 Steven McGill Project happily avoids such a fulfilling Besame Mucho in a restrained and even rather sad way, with excellent piano parties (Steve Corilla), Guitar (Joe Calderon) and vibraphone (Stephen McGill) - a very good and beautiful version! And finally, not to mention another cover: See Line Woman by Nina Simone. Where Afro-Cuban line, it can be said, goes into the shadows, giving way to a purely African - with the voice of Lady MACD, Vergara flute and percussion leader. ... The title of the album Nia: Purpose two words, but they mean the same thing: "The aim", only the name is given in two languages ​​- English and Swahili. If we assume that Stephen and his colleagues set out to not only entertain the listener, but also a tremendous opportunity to show the Afro-Cuban jazz, the goal of his, they certainly achieved. Главная > обзоры > издано в 2015г. Стивен МакГилл – вибрафонист и перкуссионист, играющий на различных инструментах, но, в первую очередь, конгейро, а среди его любимых музыкантов значатся имена Монго Сантамарии, Пончо Санчеса и других выдающихся мастеров этого инструмента и афро-кубинского джаза, который составляет стержень его музыкальных интересов. За плечами МакГилла большой путь в музыке, вехами на котором были Вашингтон, Лондон, Париж и, наконец, Лос-Анджелес, где Стивен сегодня живет и уже более десяти лет руководит ансамблем Steven McGill Project. Состав этого коллектива довольно гибок, но основу его составляют музыканты, с которыми Стивен познакомился в совместной работе в одном из лос-анджелесских коллективов, WaterColours: гитарист Джефф Стетсон, пианист Стив Корилл, а также несколько позже пришедший в группу басист Гастон Рене. Именно они вместе с целым рядом других инструменталистов и вокалистов участвовали в записи четвертого по счету большого альбома группы - Nia: Purpose. Программу альбома составили девять очень разных композиций. Открывает ее пьеса самого Стивена Alliot, где он сразу впечатляюще демонстрирует свое мастерство вибрафониста. Напротив, в версии известного джазового стандарта Green Dolphin Street его вибрафон как бы служит связующим звеном между двумя яркими соло Гас тона Рене, сменившего в этом треке свой основной инструмент на соло-гитару. При этом афро-кубинская ритмическая структура остается характерной для обоих этих композиций, как, впрочем, и для альбома в целом. В третьей композиции диска, Lost One, мы впервые слышим вокал. Сочинил эту вещь Симеон Карсон, вокалист, рэп которого звучит в ней под аккомпанемент саксофона Хавьера Вергары. Основой для композиции послужила ни больше, не меньше, как колтрейновская A Love Supreme, но место экстатического гимна божественной любви тут заняло весьма ядовитое обличение социальных язв общества. Получилось спорно, но интересно. Социальные мотивы звучат и в другой композиции с вокалом, сочиненной певицей Мерлиной Джитой Хосли, - Give a Little More Love. Эта вещь представлена на диске еще и в чисто инструментальном варианте, где на первый план выдвинута чисто роковая гитара Джеффа Стетсона. Список каверов альбома включает еще интерпретации таких известных хитов, как Autumn Leaves и Besame Mucho. На последней хотелось бы остановиться особо. Эту популярнейшую пьесу латинского репертуара очень часто играют, чрезмерно до карикатурности выпячивая стр-р-р-расть. Steven McGill Project счастливо избегает подобного, исполняя Besame Mucho в сдержанном и даже, скорее, печальном ключе, с отличными партиями фортепьяно (Стив Корилл), гитары (Джо Кальдерон) и вибрафона (Стивен МакГилл) – очень удачная и красивая версия! И, наконец, нельзя не упомянуть еще один кавер: See Line Woman от Нины Симон. Здесь афро-кубинская линия, можно сказать, уходит в тень, уступая место чисто африканской – с голосом Леди МакДи, флейтой Вергары и перкуссией лидера. …В названии альбома Nia: Purpose два слова, но значат они одно и то же: «Цель», только название дано на двух языках – суахили и английском. Если считать, что Стивен и его коллеги задались целью не просто развлечь слушателя, но еще и показать широчайшие возможности афро-кубинского джаза, то цели своей они, безусловно, достигли. Who’s The Steven McGill Project? On our latest CD the band included Gaston Rene on Bass Guitar, Steve Correll on piano (who played for the United States Air Force band when they were considered one of the best jazz bands in the country), Guitarist Joe Calderon and Jeff Stetson (Joe has played with Dianne Reeves and Billy Childs to mention a few. Jeff has worked with the Drifters) drummers Olises Naranjo and Forrest Robinson (Forrest is a Grammy award winner for his work on drums with India Aire), Reed players Javier Vergara, Gerald Monteros and Jim Carter (Javier is a member of the Grammy winning Poncho Sanchez Latin Band) vocalist Carla bagnerise, Ellen Cooper Merlene “Jita” Hosley Sandra “Lady McD McDaniels and myself Steven McGill on Vibes, Conga Drums and percussion. How you guys all met and started this project? All the the guys in the band are friends thru another guy in the band if that makes any sense but it kind of goes like this I met Gerald Monteros at a jam session. He met Jeff Stetson who was friends with Gaston and Jim Carter, Gaston was friends with Javier. Steve was a friends with Gerald. Olises was a friend of Jeff Stetson also. The ladies I meet at a music class held by Val Ewell. How would you describe your sound? I tried to center what we do around the sound of the drum. I’m a percussionist who is lucky enough to be surrounded by a great group of friends who were willing to help make the dream of this CD “Kujichagulia” a reality. I got the idea from a recording by Max Roach, the recording is called M’Boom. Max and a group of drummers playing only percussion instruments played some jazz compositions, it’s a FANTASTIC recording!!! I don’t think it was a large commercial success or even a critical success but I thought “take this sound and add a bass guitar to make it more accessible, bring in the piano which is also a percussion instrument and a new sound was born kind of, anyway that was the thought process. The strings and woodwinds were added later again because I wanted it to appeal to a larger group of people. What are your music influences? My personal influences would be Olatunji, Mongo Santamaria, Willie Bobo, Tito Puente, Cal Tjader, Armando Peraza, Victor Feldman, Louie Ramirez, Sly and The Family Stone, Wes Montgomery and John Coltrane to mention the main ones. Can you give us some insights, details about your upcoming new album? Any title, release date yet? We’ve started recording a new CD that we hope to finish by Dec 2012 or Jan 2013. This one should have more original compositions but we’ll put our twist on some more standards also. One of those standards will be “A Love Supreme” by John Coltrane but again it will probably not sound much like what you would expect without giving away to many details. We have recorded five new tunes already and we hope to add four or five more for the new CD. What has been the funniest moment you have been or took part while touring? We were playing in Venice Beach, Ca. at this club and a lady on roller skates and wearing a bikini decided she wanted to kiss Jeff while he was playing. Of course she knocked over half the mikes on stage trying to get to Jeff it was so funny. Are there any more plans for the future we should be aware of? It would be nice to get a high quality video done for the new CD so will see if we can turn the talk into reality. What’s your method at the time of writing a song? I’m a percussionist so I normally start with the drums. I play a little piano so that’s what I’ll add next then the vibes once that’s done and I have an idea about what it sounds like. Then I’ll call Gaston and Steve (bass and piano) they’ll lay down some tracks for me and we build from there. Do you feel you are moving on the right direction? I think so we’re being reviewed by “Vents Magazine” which is a big step!!! We also just got added to Pandora Radio which is a big step for any indie so go to Pandora type us in and give us a listen the CD is “Kujichagulia” by “The Steven McGill Project”.